When I penned my first book, A Golden Leaf in Time, I wrote in longhand. I used legal pads and I would write at a college library as I waited for my mother to finish teaching her composition class. The major issue here is that I still had to enter it into a Word program. I started with an old Mac and later when I had it transferred to a PC, many extra characters were added during the transfer. The book was never properly edited. 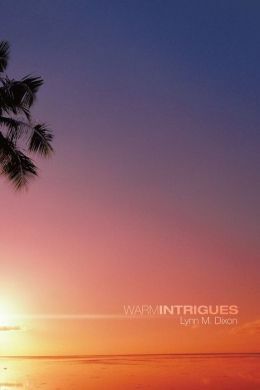 So, when I wrote Warm intrigues, I did something different. As in both cases, I first developed an outline deciding on how many chapters I would write and how the book would begin and end. This time, I used my television cable and put on the Music Choice channels. I chose a certain genre to fit the mood of the chapter. For example, I would use Light Classical, Love Songs or Soft Rock to name a few. I had the outline and notes that I had handwritten for the particular chapter and I keyboarded; my way until I felt that I had completely told that segment of the story. The music in the background helped my thoughts and fingers move swiftly across the keys. I often did one chapter a night. I was able to write notes and create the book in about five months. As writers know, once the ideas start flowing, they will not stop. So always have plenty of paper and pens close by the bed and in every room! I just published my third book through Trafford Publishing. It is called Warm Intrigues and to my astonishment it is generating lengthy conversations from family and friends. It is a romance between a college professor, Tyre and a librarian, Phoenix. They are building a strong relationship as they date and enjoy hotspots in the Chicago area. They are challenged when Tyre receives an unexpected letter. It is a sequel to my first book, A Golden Leaf in Time, where the main characters battle addictions and poor choices in mates along with job stresses. They meet at the end of this book. I am excited about the first few responses coming from married couples who see Tyre and Phoenix as believable characters facing the daily stresses of balancing their love lives and jobs. I wrote this novella in less than five months and will be sharing some writing tips for “Setting the Mood to Write” in the near future.